Kitchen cabinets ideas – a lot of socializing and entertainment takes place in the kitchen nowadays. Family meals, friends gatherings, meal preparation, talking with friends, even doing homework with kids happens to be in the kitchen. That is why finding the best kitchen cabinets is important. Some people prefer to make a statement with the unique design of kitchen. A lot of people take time before making final decisions on renovations in the kitchen. It is important to carefully select not only colors, but places that will match the style and design. Real wood cabinets is a traditional style, but it is also possible to go ultramodern and make a statement that you want. With wide variety of materials and colors it is easy to show the individualism. There are a lot of rich colors available for example bright red or deep and rich would starting from very dark colors to white. The only limit is imagination and budget. 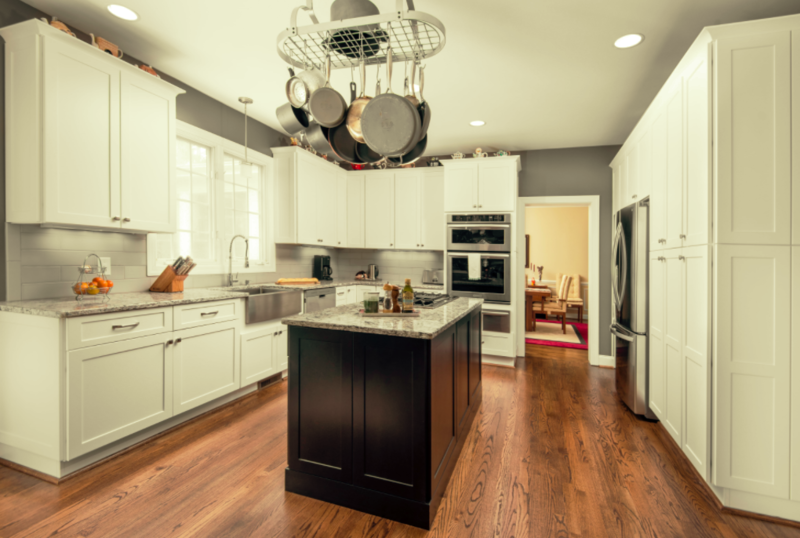 Before making the final decision, browse through some kitchen cabinets ideas. There are many catalogs available, online galleries. photos in magazines. Decide which style and type of cabinets you like. Stop by our design center. We have professional design specialists who will be able to recommend the best design and colors for you based on your style of life and personal preferences.